Everyone knows that I love jewelry and while I do not wear tons when we are going out I like to pull out my favorite pieces and get all dressed up! 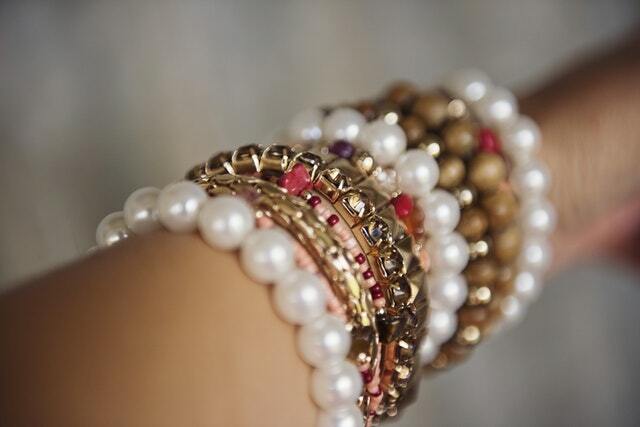 Storing jewelry is so important in the times that you aren’t wearing it though. I have seen some beautiful jewelry become tarnished or even damaged due to lack of proper storage. One thing that people often overlook is that jewelry needs to be stored in a clean and dry place such as a jewelry box or jewelry armoire. We love the idea of the armoire because there are different places to keep different styles of jewelry. Jewelry armoires and other storage types of jewelry boxes are not our childhood music boxes with the dancing ballerina and while those were cute when we were children they are not great for our grown up jewelry needs. A jewelry armoire can be a beautiful piece of jewelry to use in a bedroom that can really set off the appeal. I love that with an armoire I have space on top to keep perfume bottles and other trinkets, too. There are different tactics for storing different types of jewelry and we want to talk about some of them here. Diamonds can scratch other jewelry so they are usually kept separate from other jewelry. Often people keep them in a soft pouch. Silver HATES water, so always make sure that it is dry. Many jewelry boxes and armoires have a special tarnish free material in compartments so that you can easily store your jewelry. Gold likes to be a loner and kept by itself, so again having storage compartments to do this is a great idea. Gold jewelry also thrives on cloth storage bags. Many people use jewelry boxes and armoires to store their jewelry to limit the ideas of theft, but should this devastating blow happen to you then there are some things you should know. If you have a jewelry theft it should be reported immediately. Part of knowing how to store your jewelry is also knowing how to store photos and appraisal paperwork pertaining to the jewelry you own. Often when it comes to jewelry theft having the proper paperwork is a huge part of the battle when filing a police report but also reporting to your insurance. When it comes to the police report having proper photographs of your prized jewelry is so important because they can use them while searching local pawn shops and while investigating other thefts in your area or when stolen items have been retrieved from crime scenes. Always know your insurance policy and what is covered and what percentage of the face value you will get back. Sometimes people are surprised to find that they will only get 10% of the value back when they file an insurance claim. If you would like to see other posts from Product Review Cafe about jewelry check out our jewelry posts..